What we put on our plates affects the planet. Food waste campaigner Tristram Stuart is rewiring our broken food system, one pint at a time, says Anastasia Bernhardt. He has been shouting about the urgent need to redress our outdated, inefficient and inherently wasteful food system long before veganism went mainstream, back when ‘milk’ only came from cows. Instead of shaming people into changing their habits, Feedback, the charity he co-founded with Niki Charalampopoulou in 2013, has turned something as unsexy as leftovers into a jubilant celebration of ingredients. What does ale have to do with the fight against food waste? 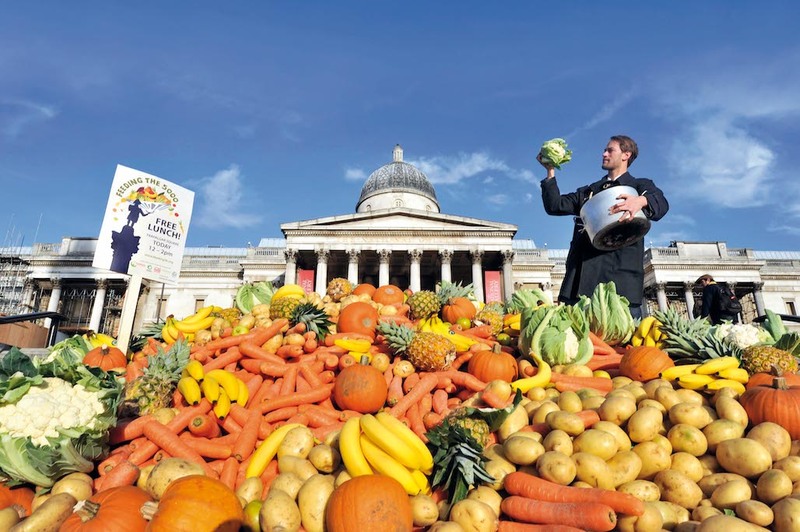 Amongst some of his better-known projects, he has achieved the almost Biblical feat of feeding 5,000 Londoners in Trafalgar Square using ‘flawed’ fruit and veg deemed unworthy by supermarkets and has thrown a massive Mexican feast with Wahaca Founder Thomasina Miers using pigs reared in London on food waste. Although he has now taken a step back from Feedback, he continues his involvement by brewing beer. What exactly, you may ask, does ale have to do with the fight against food waste? That is other than assisting you in hoovering up the contents of the fridge upon your return from the pub. To answer that we have to return to 2008, when Tristram was poking around sandwich factories – bread being one of the most wasted foodstuffs because sandwich-makers can’t use the end slices. ‘It’s not mouldy bread that’s being thrown away,’ says Tristram, ‘This bread is fresher than the food you get in the shops.’ Just one of these factories wastes up to 13,000 slices every single day. 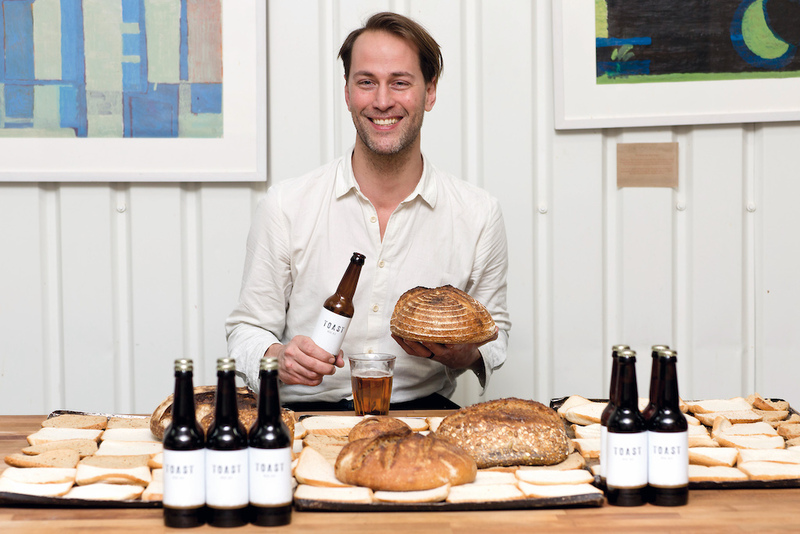 While most people wouldn’t connect the dots between bread crusts, the explosion of local craft breweries and the global movement against waste, for Tristram, it presented a business opportunity. Instead of brewing the bread in one location for export, he decided to brew local waste bread at local breweries to make beer for local drinkers. With all of the profits going to his charity Feedback or to local charities fighting the problem of food waste at its heart. Jamie Oliver drank the very first bottle of Toast Ale. He thought it was ‘blooming lovely’. 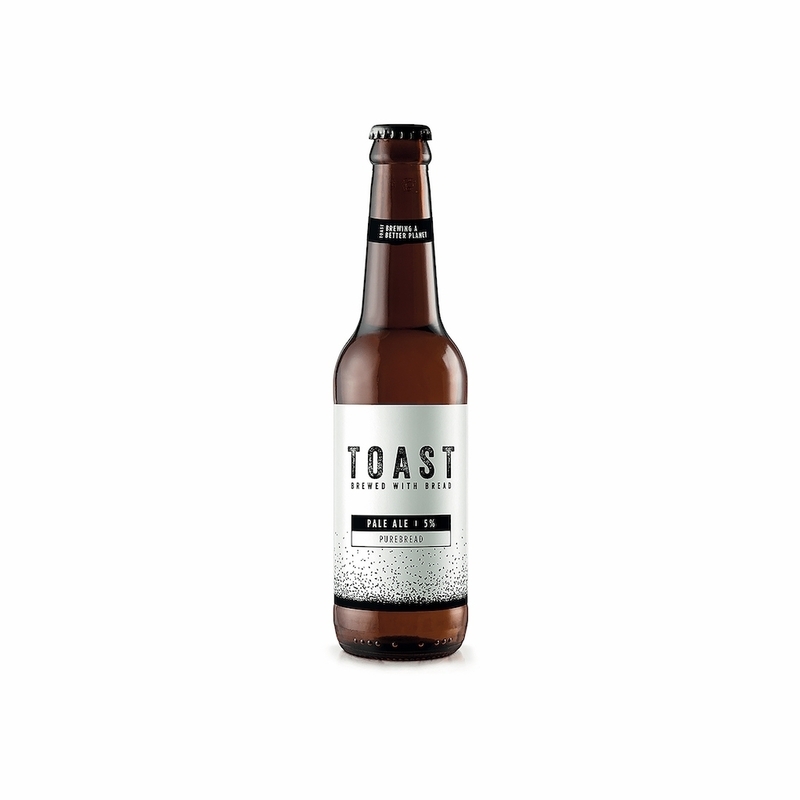 Expert beer sommeliers are also in agreement: Toast Ale is now brewed in seven countries and has won international beer awards based purely on blind taste testing. Most of the bread for the beer comes from sandwich manufacturers based close to the breweries, who deliver it for free because they are keen to do something better with their waste. But there’s another, arguably more compelling reason that industry is waking up to smell the coffee: it makes financial sense. Tristram is focused on a more systemic solution to the food waste problem. ‘The real hope is to wake people up. We are in the middle of the mass species extinction event number six and we’re the ones causing it,’ he says, citing it as the biggest contributor to the problem over and above transport and industry. The food system is the largest consumer of freshwater, the largest cause of deforestation and the single biggest cause of greenhouse gas emissions. In Tristram’s words, ‘We’re not cooking food anymore. Food, as a system, is about to start cooking us.’ The answer, he says, is to rewire the food system: to draw carbon out of the atmosphere and put it into the soil, put water into the water table instead and to create natural habitats. ‘There is a silver lining. 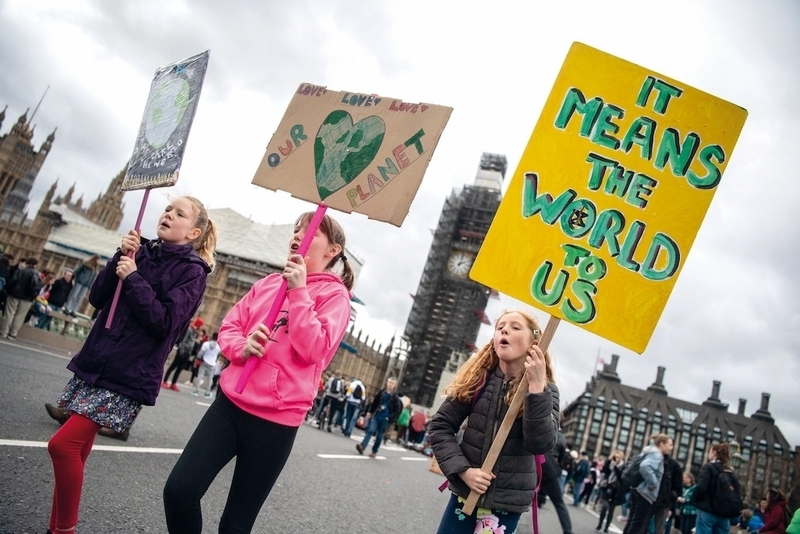 It took me about two weeks after the Brexit vote to realise that this is the biggest opportunity the country has ever had to start a new movement.’ He cites the recent Schools Strikes for Climate as such an example, when he got together with local children and parents in his area to pick up litter and make a giant heart out of it. ‘Grownups are still daring to tell their children to tidy up their bedrooms. Look at the fricking mess the kids are going to have to clear up after us. I think these kids have an absolute right to rebel.’ If you want to get involved, he invites you to join the next strike on the 15th April. I for one will be dusting off my plastic-free vegan dancing shoes to join the party.